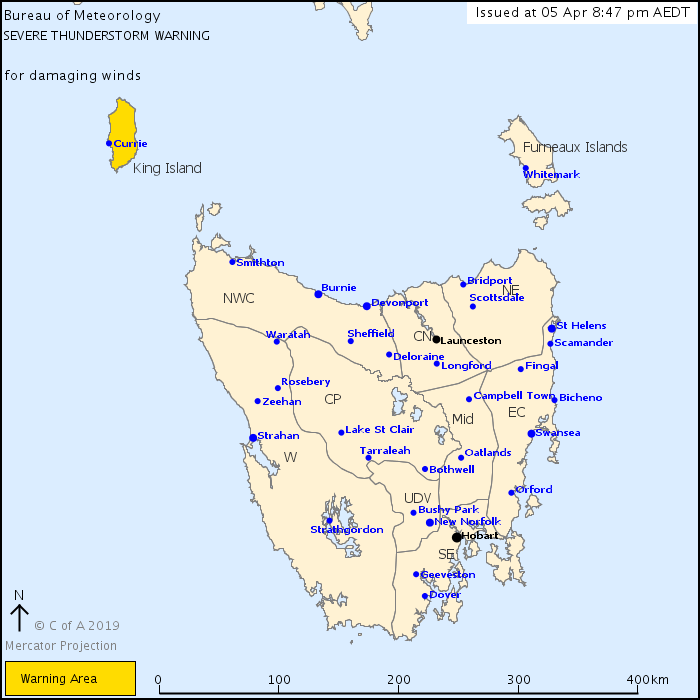 For people in King Island Forecast District. Issued at 8:47 pm Friday, 5 April 2019. Severe thunderstorms are likely to produce damaging winds in the warning area over the next several hours. Locations which may be affected include Currie.